Valentines Cottage is named after Harben J Valentine, who commissioned the architect to design 'Sandford Cottage' for his family in 1902. Downstairs there are two bedrooms, one with a king size bed, which can be split into two singles and one with a double bed. 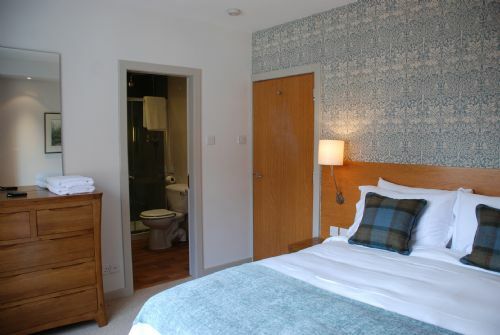 Both bedrooms are en-suite, one with a bath and one with a walk-in shower, both are fitted with Trevi rainwater showers. Upstairs you'll find a spacious open kitchen/living/dining room with oak beams and posts, 2 x 2 seater sofas and a dining table and 6 chairs. There is also a flat screen TV and a Bluetooth speaker. 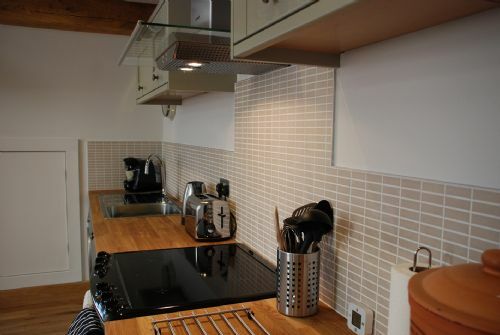 The kitchen has an electric cooker, fridge/freezer, washing machine, dishwasher and coffee pod machine. 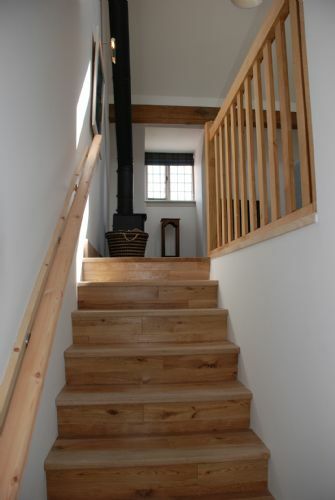 All cottages have oil central heating and a wood burning stove. Electricity, heating and one basket of logs is included in the rental cost, additional logs can be purchased from the office. This was our third stay at Sandford. A great place to stay for visiting all the little fishing villages in Fife and the city of Dundee. Thank you Evelyn and Ralph for the hospitality. My husband and I stayed with our daughter in Valentine Cottage while we were busy moving her into her first year dorm at University of St. Andrews. The tranquil location of Sanford House was ideal, surrounded by the peaceful pastoral beauty of farmed fields, while minutes away from terrific cafes and restaurants in Newport on Tay. (A big shout out to THE VIEW Restaurant, and Kitchnbake - where we enjoyed delicious meals, looking out over the Tay) The Valentine Cottage, and all of the cottages, have been expertly renovated, with attention to every detail, and all of the interior furnishings and appliances are first rate. Our hostess Evelyn was kind and warm and exceedingly helpful, pointing us in the direction of Dundee's shopping when it came time to outfit our daughter's dorm with sheets and towels etc. We don't know what we would have done without her! All in all our stay at Sanford House is one that we will always remember -- and we hope to return for a longer stay, when we can enjoy the hiking and rowing and tennis and golf...all the outdoor activities we love. Truly, this has been the highlight of our trip to the UK. Evelyn and Ralph have done a superb job refurbishing Sanford House! It is exquisite. Each 'cottage' is beautifully constructed and appointed with excellent appliances, linens, heating -- all the comforts of home and then some! We feel so welcome, and cozy, we may never leave! Loved our stay: couldn't fault it. Evelyn is a superb host. She made us feel very welcome and gave a good run down of the cottage, plus local things to do, places to eat, the easiest roads to take etc. The cottage itself was absolutely immaculate (We stayed in Valentines). Comfortable sofas and beds. We appreciated all the extras such as welcome basket, soaps etc. The kitchen is equipped with absolutely everything you could need. The grounds are stunning, with lovely views. Overall, we had a lovely stay; absolutely nothing we could fault. 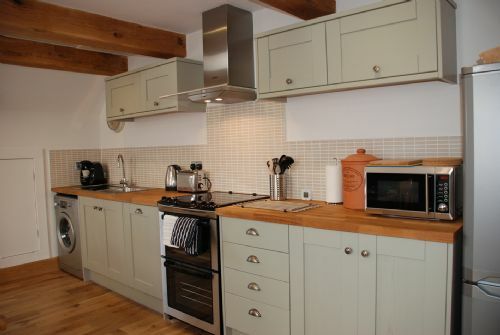 We would definitely recommend Sandford Country Cottages to friends and family. William Moris said "If you want a golden rule that will fit everybody, this is it: Have nothing in your houses that you do not know to be useful, or believe to be beautiful". In Sandford Country Cottages Evelyn and Ralph have achieved both. Valentine's cottage was a home from home and was equipped with everything we needed, from kitchen equipment to garden toys. And the location of the cottage is perfect, with Dundee and St Andrews just a short car journey away, offering lots to see and do. We recommend a visit to Discovery in Dundee to find out about the ship which took Scott to the Antarctic, a trip to Crail beach for an afternoon jumping in and out of the waves, a trip to Edinburgh to see The Royal Yacht Britannia, and breakfast, lunch and dinner at The View, just down the road! The views from Sandford itself are idyllic, and we enjoyed a very restful week recharging our batteries. I can't imagine a better place to stay in this part of the world, and I can't recommend Sandford Country Cottages highly enough. We had an amazing time, everything was perfect. Evelyn was a great host. The cottage was extremely clean and well kept , the view from the back garden was outstanding. Really comfortable stay at Valentines again. Grandchildren, who came for lunch, really enjoyed themselves running around outside and Evelyn was her normally helpful self. On the first evening we lit the stove as it was pretty chilly outside but frankly the central heating was more than adequate. As part of a larger group we stayed in the Valentine's Cottage. It was great that the apartments linked and were in close proximity to our friends and had lovely living areas to all come together. The Valentine's cottage was fab, everything was very clean and tidy and fully equipped for our stay which was ideal. There were beautiful views from the breakfast bar and we thoroughly enjoyed our stay there - will definitely return! Valentine's Cottage was exactly as pictured on the website, clean, comfortable, furnished to a high standard, in fact everything was excellent and I would recommend this cottage for a short or long stay. The food basket was most welcome and the additional fruit basket perfect. The location is good located on a quiet hillside, although close a main road. We travelled extensively while staying at the cottage and found the location perfect. If you are looking for five star accommodation in a central location this is the place to stay. Sandford is a wonderful place to stay. When we were there the weather was girgeous and at night we had magnificent sunsets. The apt itself is quite lovely. Tastefully decorated with fluffy towels, a bath and a shower, fluffy duvets and a comfy bed. It is a quiet place to stay yet only 15 mins into St Andrews and and 25 to Anstruther which boasts the best fish and chips in Britain. Evelyn our host, is warm, welcoming and helpful. This is our third stay and the atmosphere made it feel like home. Honestly, anyone staying here will feel it is value for money! It is the second time that we stay in Sandford Cottage and we come bac again in July. Thanks for putting our staff up for 6-7 weeks. They were all really impressed with the standard of the accommodation. Attractive, well-equipped and warm accommodation. Evelyn was very helpful and quick to answer all our pre-arrival queries. 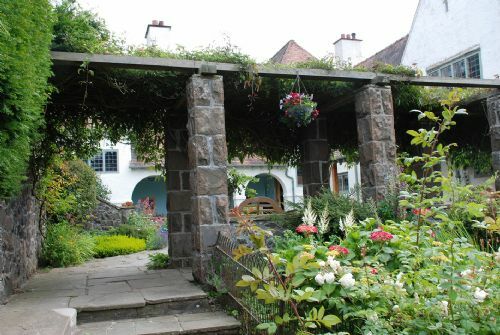 Anyone looking for a short break in Fife would be well advised to consider Sandford Cottages. The cottages are internally finished and furnished to a very high standard to provide an extremely comfortable and cosy "home from home". Valentines Cottage, where my family stayed, was perfect for our needs. The property is well situated for exploring Fife and is also a short drive north across the bridge to Dundee and the countryside beyond. The owners, Ralph and Evelyn, made us feel very welcome and the restoration work they have undertaken on what was a tired and deteriorating former house then hotel is a testament to their vision and energy. Leaves just changing, area looking well and dry weather. The accomodation was warm and comfortable, we turned the heating down and never used the wood stove or logs. Everything we needed was there including a well filled welcome basket, very peaceful. The area had good restaurants and plenty to do. We will be back. I'd rate this place one of the best I've stayed at while on vacation. Evelyn and Ralph are great people who have a right to be very proud of their home. If I ever return to Scotland I'll be sure to make another stop here. The apartment had everything we needed for a self catering break from comfortable beds to the welcome grocery pack. Evelyn and Ralph were extremely hospitable and helpful. We hope to return again. 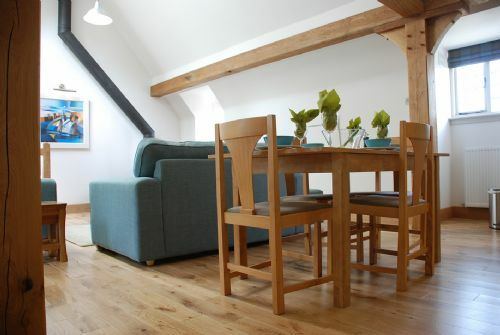 The Sandford apartments are the best self catering properties we have stayed in. The cottages at Sandford are second to none. Clean, comfortable and have everything you need. The welcome is superb. We've stayed twice now as my 83 year old mother in law just adores the place. It's easy to get out and about, close to St Andrews and Dundee and just about an hour from Perth and Edinburgh. Great place to stay for the tattoo but would be great for a work stop over too. A great place to stay,peaceful,quite and within easy reach of many local attractions.The hosts were very helpfull and provided us with a welcome pack, which came in very handy with 2 small children. We live in Scotland but just wanted a change of scene. The house was perfect and the location great for visiting St Andrews and the lovely coastal villages of fife. The house was perfect a real home from home in a beautiful setting with everything we needed for a perfect family break. Having stayed in a number of holiday properties in and around the Dundee area over the past 10-15 years, I can say that Sandford is the best yet. 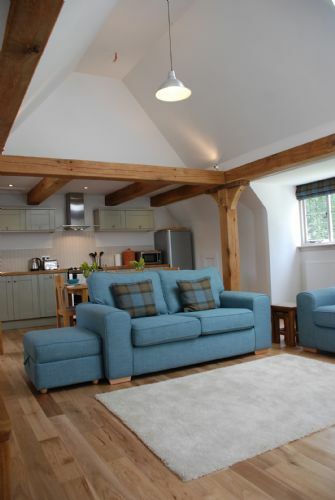 The cottages are spacious and beautifully furnished to a high standard (we stayed in Valentine's cottage). Everything has been considered so as to make your stay as comfortable as possible. Home from home. The grounds are beautiful with good outdoor areas for children to have a run around in a safe & secure environment. The patio area to the front of the cottages is a great spot to enjoy breakfast or lunch when the sun is shining. 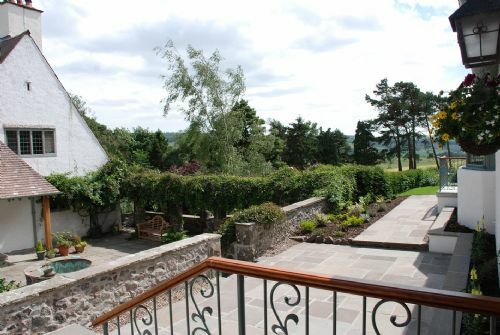 The location is excellent with great views of the surrounding countryside. The property is easily reached by car from Dundee or Edinburgh. When staying here you also have easy access to a large number of local beauty spots such as Tentsmuir Beach, Crail, Anstruther etc. Local amenities in Wormit and Newport on Tay are very close by. Perfect location really. A fantastic property, very well equipped, comfortable and stylish. Nothing is too much trouble for the cottage owners. We thoroughly enjoyed staying here and found it a great location from which to explore Fife and, across the river, Dundee. 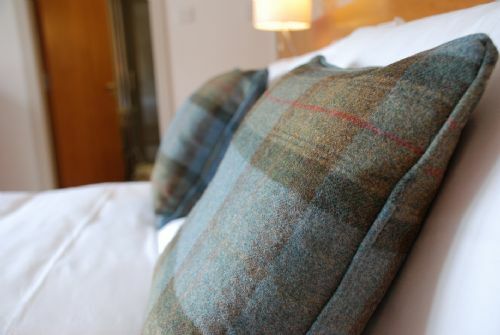 Lovely & stylish with everything you need for a perfect relaxing stay, the location is peaceful & good for exploring Fife. Evelyn & Ralph are really welcoming hosts & their house is stunning. Sandford is a wonderful place to stay. 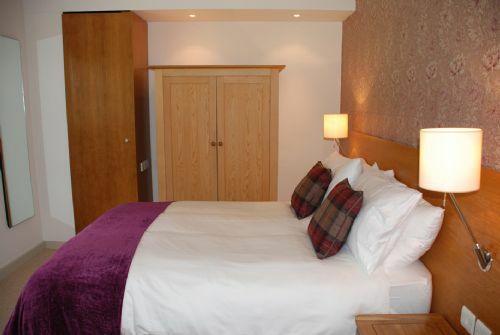 Just a few miles from St Andrews so there is a lot of attractions including fantastic walks. 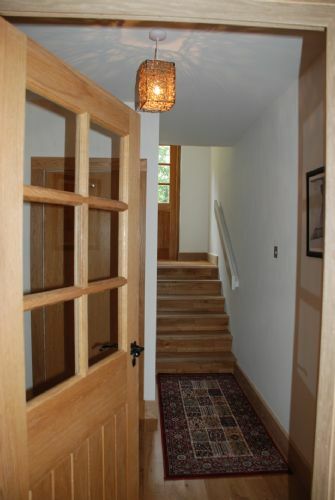 The cottage was beautiful - clean fresh and tastefully decorated. The owners really looked after us and even put up Christmas decorations including a gorgeous Christmas tree in the courtyard below. It was a great place for our Christmas break and we cannot praise it highly enough. Thanks for the lovely review. It was a pleasure having you both to stay and we look forward to seeing you again in the Summer. Couldn't have been more perfect. Accommodation absolutely beautiful, clean, spacious & well- equipped. Evelyn a brilliant host who looked after us from start to finish. Have stayed around this area many times in different places and this just has to be the best. Can't wait to return! We loved our stay at Valentines Cottage. It is luxurious, with all the home comforts you could need. Evelyn is a great host and we would love to return. Valentine Cottage is spacious,comfortable,spotlessly clean and very well equipped. Very welcoming hosts, lovely location. We will definitely go back. Evelyn was easy to work with and quick to respond to booking request. Security deposit repaid promptly. Cottage in excellent condition and comfortable. We had a fantastic four night break at Sandford Cottages. Valentine's cottages was just lovely. It was very well furnished, spotlessly clean and had everything a family of four required. The welcome pack of coffee, milk, fresh bread, butter and wine was very much appreciated too. Evelyn and Ralph made us feel very welcome and went out of their way to help us with bike storage. The cottages themselves are in a great location for exploring St Andrews, Tentsmuir Forest and the beautiful Fife coast. This was a really lovely cottage, everything to the highest standard with little extra's like milk, butter, bread, wine+coffee with Scottish shortbread! We enjoyed meeting Ralph and Evelyn who are excellent hosts! Would definitely stay again! We had a wonderful stay in Valentines Cottage. I usually find fault wherever I stay but not this time. 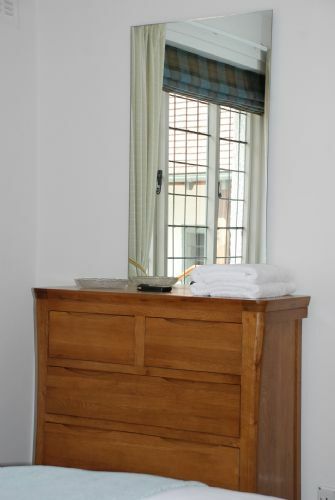 The cottage is excellently appointed, furnishings to a very high standard, and it's spotlessly clean. The living room is homely and comfortable for a family of four, kitchen is fabulous and the welcome basket left by Ralph and Evelyn was beyond generous. Heating works by controls on the radiators in each room so you can hear the cottage to your exact requirements. If you're looking for a cottage in Fife, look no further. You won't be disappointed!